The Hem and Boo puppy boo is a plush super soft puppy shaped dog toy which has a squeaker. 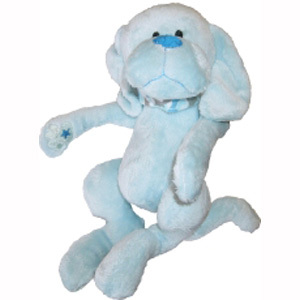 Puppy boo comes in light blue and has collar detail. Puppy Boo 8.5" (22cm) Super Soft Toy.